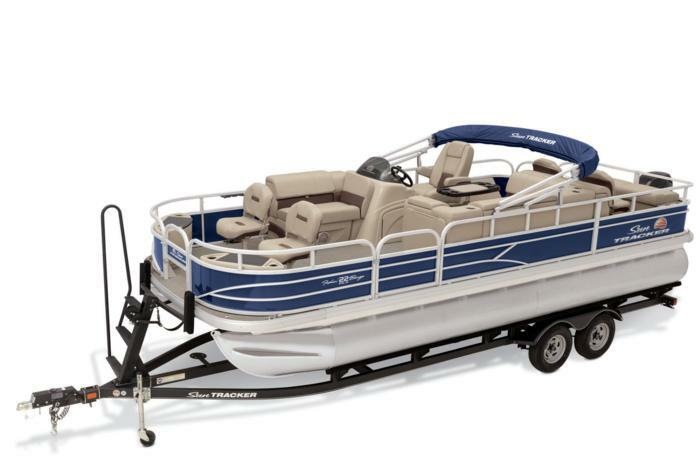 The Boat for Summer Sales Event is going on now. Get a $750 gift card and $200 in gear—FREE!—with your purchase of a new 2019 or prior model year FISHIN’ BARGE® 22 DLX. Hurry! This offer is only available for a limited time. See dealer for details. Teach your kids or grandkids the joys of fishing. Invite out your friends for a day of trolling and socializing. No matter the activity or the crew’s age, everyone will appreciate the space, stability and features offered by FISHIN’ BARGE® 22 DLX. For the anglers, fore and aft fishing decks both feature two fishing chairs and an aerated livewell, as well as conveniently located rod holders. 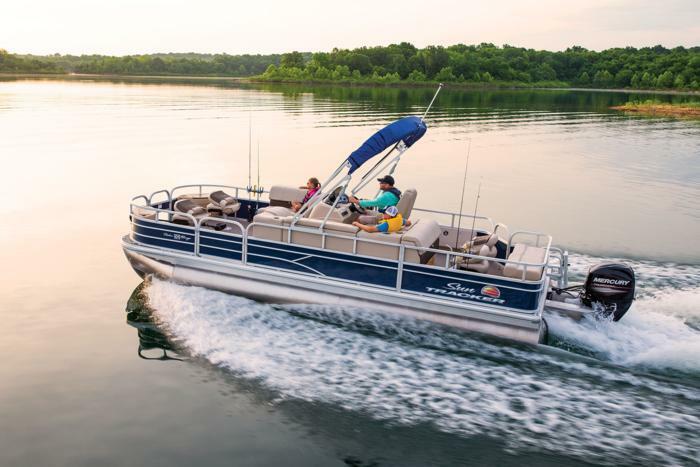 And when you’re not fishing, the QuickLift™ Bimini top, L-lounge and plentiful storage (including the Stow More™ seat storage system) are ready to provide you all-day comfort and convenience. The FISHIN’ BARGE 22 DLX—the perfect platform for making fishing memories.